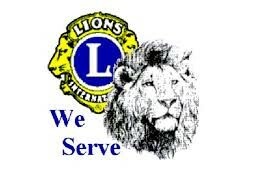 Attention Lions -- The April 8th Meeting will be at the Main Cup dining room, not at Amvets. The Middletown Lions Club is a voluntary service organization, serving the local community through support of local organizations such as Scouting, Education, community events, and the public welfare. We are looking for people like you who are motivated to volunteer their time to support our community and to take real pride in serving others. Lions are well respected for their focus on assisting people with vision problems and it is one of the primary reasons we have earned and adopted the motto “We Serve”. You are invited to be our guest at meetings and learn what “Lionism” is all about. Meetings are held on the 2nd and 4th Monday of each month. Meetings begin at 6:30 pm at the Amvets Valley Memorial Post #9, 409 West Green Street, Middletown, MD 21769.
bout this great opportunity. Click Here for a Membership Application.